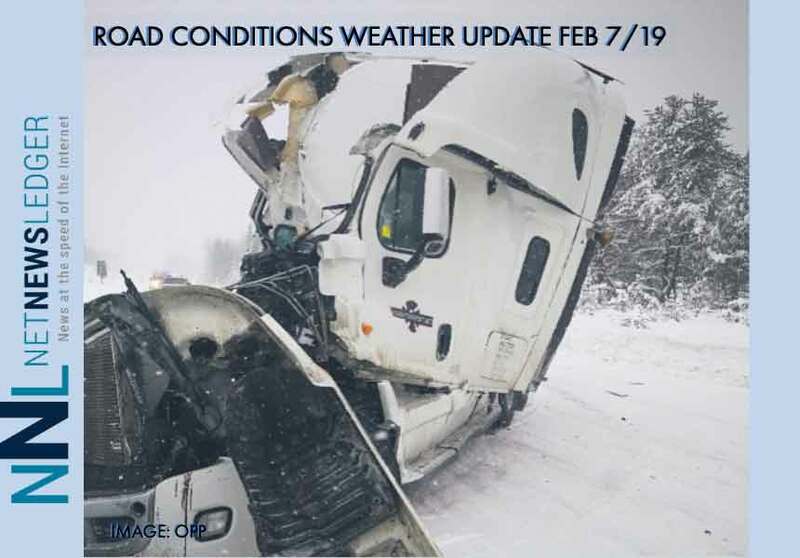 NetNewsLedger - Weather Update - "Simply not a day for travelling"
THUNDER BAY – WEATHER – Road conditions across the region are causing accidents. The Ontario Provincial Police say simply “It is not a day for travelling”. In Thunder Bay, 26 centimetres of snow has fallen already at the airport. 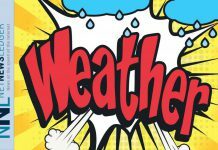 For Thunder Bay, the weather service is calling for periods of snow and local blowing snow. At least another 5 cm is expected. As the snow slows, the winds blowing that snow around will come first from the northeast at 20 km/h gusting to 50 before shifting and becoming northwest 30 gusting to 50 near midnight. The low overnight will be minus 21. The wind chill will drop to minus 25 in the evening and minus 34 overnight. 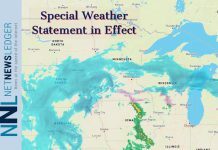 For Friday morning, expect periods of light snow and local blowing snow ending in the morning then mainly cloudy with a 40 percent chance of flurries. 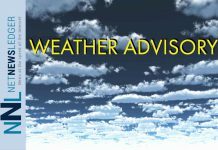 Winds will be northwest 30 km/h gusting to 50. Friday’s high minus 17. The wind chill minus 34 in the morning and minus 27 in the afternoon. There are flight delays at the Thunder Bay International Airport. Check Flight Tracking on NetNewsLedger to keep up on the latest arrivals and departures. An accident near Ignace has closed Highway 17. Weather will continue to be a factor heading into Friday. The Sioux Lookout Ontario Provincial Police (OPP) would like to remind the public to slow down and drive according to road conditions. The OPP has responded to a number of motor vehicle collisions in the past 24 hours. “We are aware that a number of families will be returning home from the Little Bands Hockey Tournament held in Dryden this past week,” advises Staff Sgt. Karl Duewel. “We just want to ensure everyone makes it home safely”. A number of collisions have been reported including a multi-vehicle collision 40 km east of Ignace which has closed the Trans Canada Highway, “it is best to wait the storm out and don’t take the risk” added Duewel. Environment Canada has continued the snowfall warning for the City of Thunder Bay. 22 centimetres of snow has fallen at Thunder Bay Airport since this snowstorm began last night.